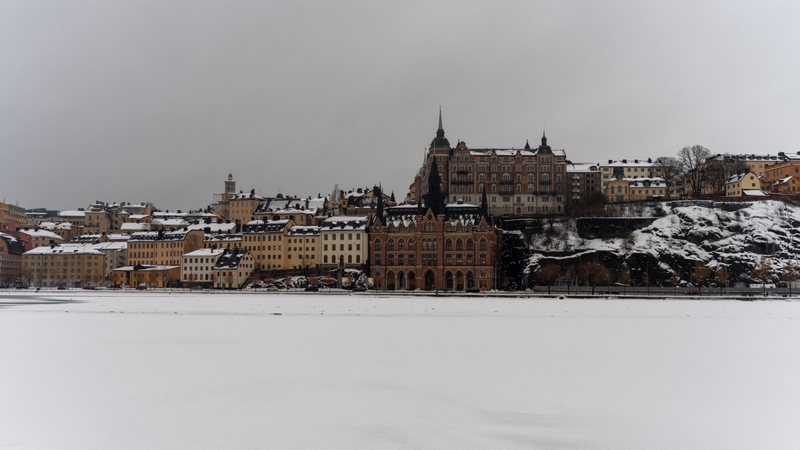 Having just returned from a long weekend in Sweden, we couldn’t wait to start writing about our time there, so if you are in the midst of planning or looking for some things to do in Stockholm in winter, this is a post for you. 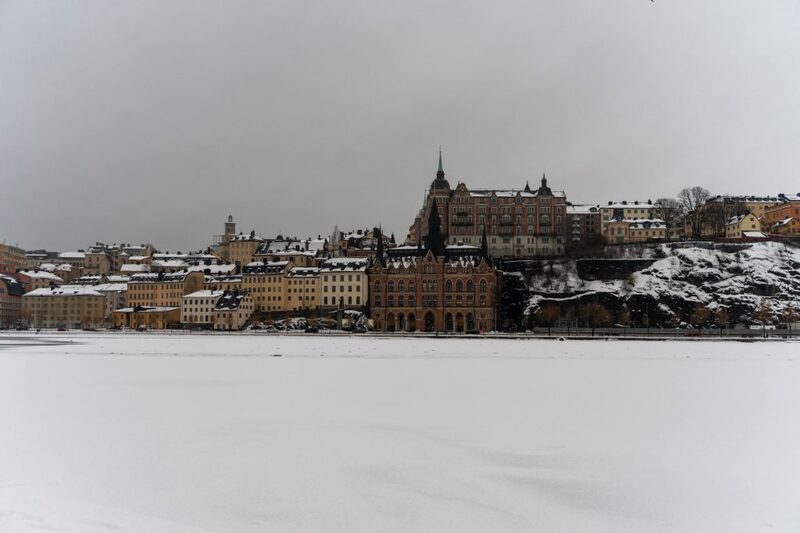 As I said above, in this post we will share some of the top things to do in Stockholm in winter because when travelling to a new destination, we spend hours looking at what to do, where to go, what to see and perhaps most importantly what and where to eat so hopefully you won’t have to. 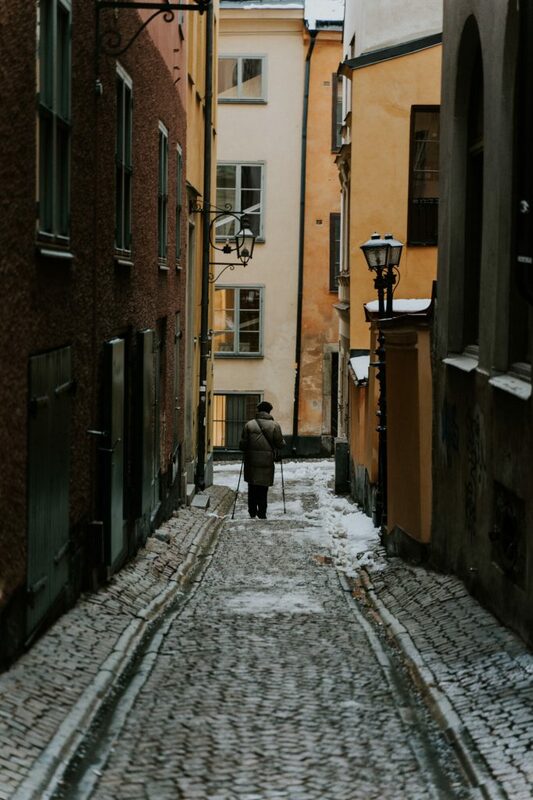 We also love to wander and often find the best things by straying from the typical tourist routes, but all of those will be listed in our mammoth Stockholm travel guide which we are so excited to put together, so make sure to check that out next. We nabbed a great deal when booking this trip, we found £20 return flights from Edinburgh to Stockholm with Ryanair and it seemed too good a deal to turn down. Perhaps this was down to the time of year, many people aren’t looking to take holidays late January/early February but it was everything we were hoping for when looking to book. Luckily (in some respects) we both have birthdays late December and often agree to book a trip like this as a joint present, so it was somewhat guilt free. The one downside of booking into the New Year is that unfortunately we missed all the wonderful Christmas markets. 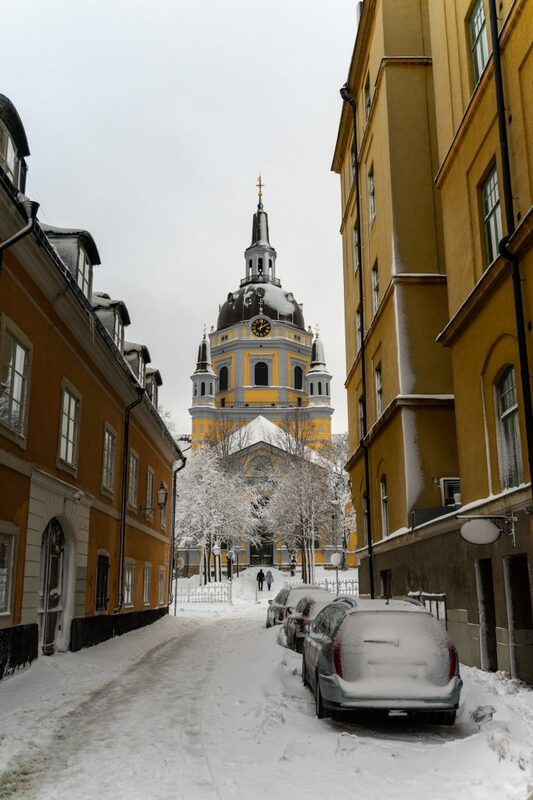 Being the capital of Sweden, we expected Stockholm to have a lot going on, especially for tourists and having visited Oslo, Norway previously we thought they would have many similarities. However, our perception was wrong, we found Stockholm to be far more colourful than Oslo and it reminded us a lot of our time in Riga. I read the phrases ‘World’s Smallest Big City’ or the ‘World’s Biggest Small Town’ when referring to Stockholm and it is so true, this ran through my mind often as we made our way around. Hard to describe, but equally, I think you’ll know what they mean so I probably don’t have to. While planning our long weekend in Stockholm, the weather was definitely on our mind. It was just starting to turn in Scotland, the weather had dropped significantly and it was frosty so we were very excited at the prospect of snow in Stockholm. To us, that was the dream. 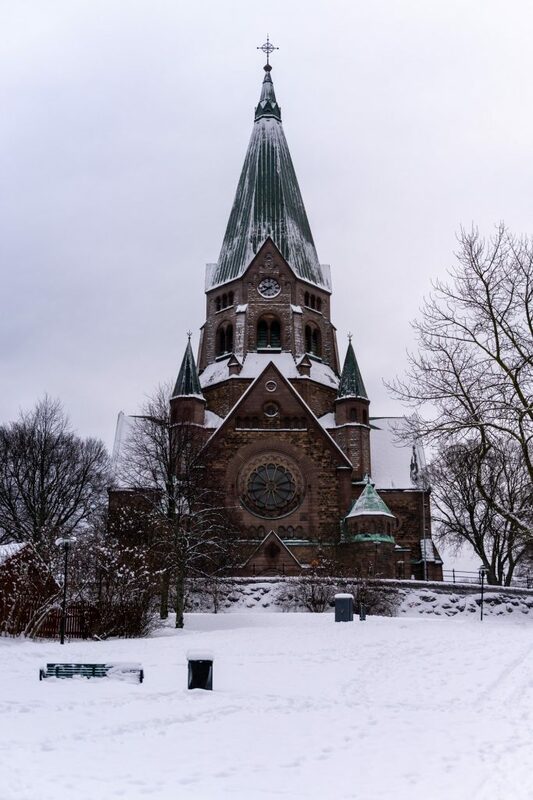 To visit Sweden and experience the cold and the snow was very exciting to us. It also caused a mild panic when it came to packing as we saw expected temperatures drop to -16, but exciting nevertheless. I can confirm that the weather in Stockholm in February (for us at least), was freezing. However, unlike Scotland, there was no wind so it was a crisp and fresh cold as opposed to the typical assault we receive. 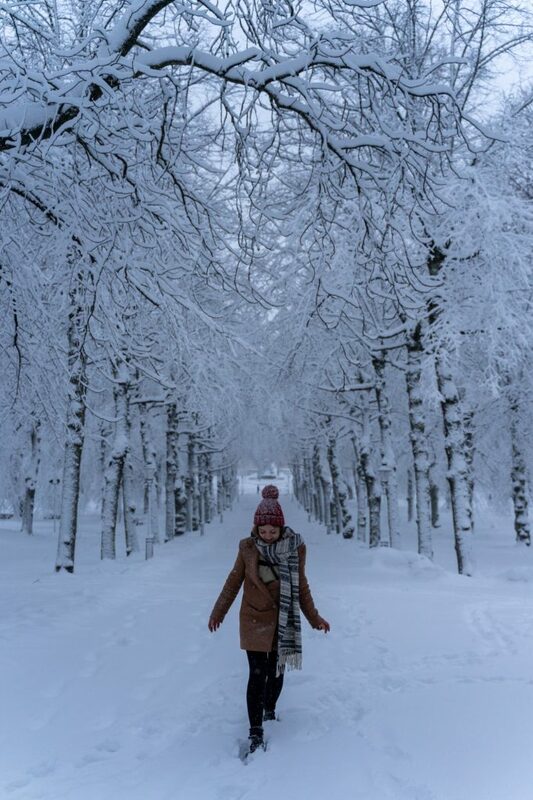 If you do plan to visit Stockholm during the colder months then do make sure to pack your usual scarf, hat, gloves, maybe a couple thermals if you really feel the cold as I do and make sure to take a warm jacket, other than that, dress as you normally would for winter. And as cold as the weather is outside, every shop, cafe and metro station has the heating cranked up full so once you step inside you will quickly thaw out. Fika in Stockholm is the wonderful art of taking a time out. ‘Fik’ is a slang word used to describe a cafe/bakery style shop and going for a fika is ultimately a coffee break. Something I am particularly fond of, especially in cold weather. 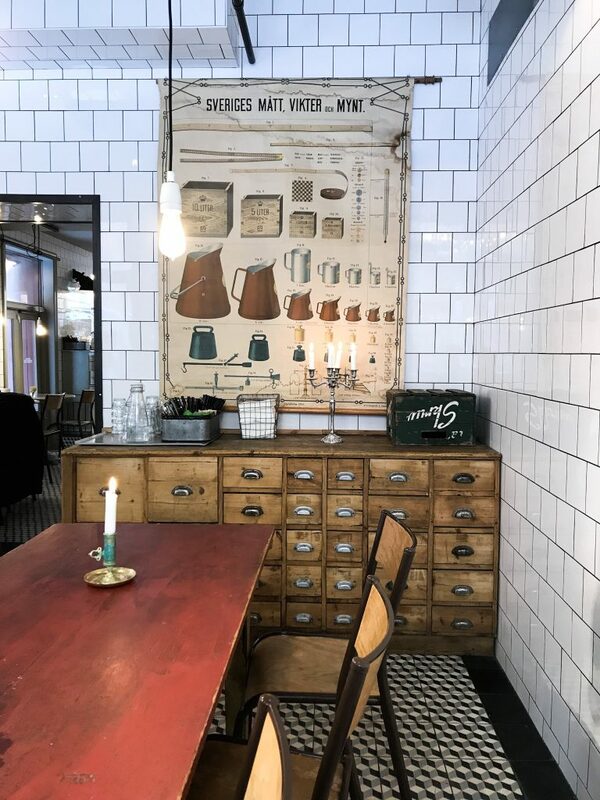 Stopping off for a fika was definitely one of my highlights when visiting Stockholm and it is definitely something that is ingrained in the culture. While a fika is taking the time out to have a coffee and cake/pastry, it is also taking the time to meet up with friends, recharge the batteries, de-stress, reassess, slow down and disconnect. It surprised me how easily we slipped into this way of thinking and obviously with the cold weather, we found ourselves doing it little and often which I believe is how it is to be done. There are no rules. We really appreciated the time we had to reconnect over the traditional Swedish pastries and couldn’t help but notice how calm the atmosphere surrounding us was. There was no rushing and there was a genuine air of content and happiness among the Swedes. One of the best stops we made for fika was in Gamla Stan at a cafe called Fabrique, which is a stone oven bakery specialising in bread. 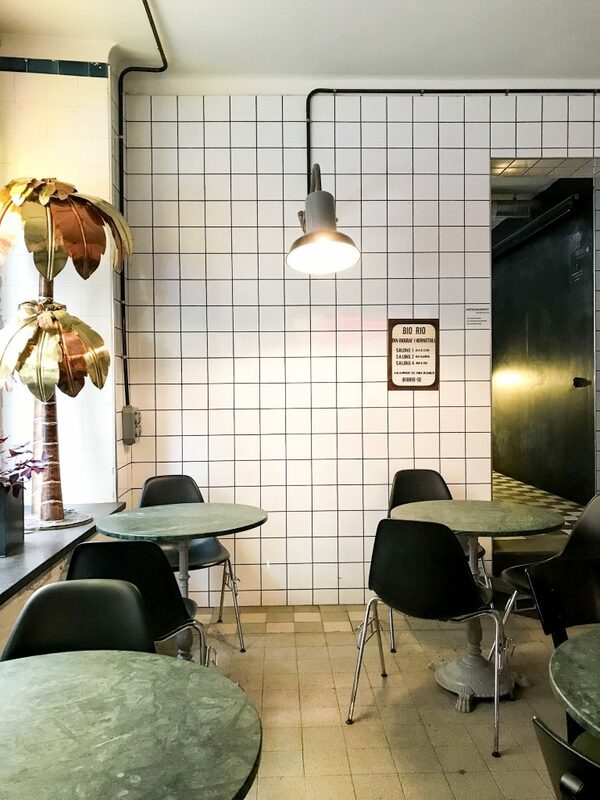 While searching for fika cafes we found that two other popular stops; Kaffeverket and Drop Coffee, although you will most commonly see the chains Espresso House and Waynes Coffee in Stockholm. Our time in Stockholm was limited having only two full days, so we didn’t buy The Stockholm Pass but we did buy Stockholm travel cards. Again, we did our research prior to visiting and knew what we wanted to see but we also wanted to experience and enjoy time in the city without being tied to a rigorous schedule, so the travel cards were the better option for us. That’s not to say that The Stockholm Pass didn’t appeal to us and if you have more time to spend in the city, we would recommend these. With The Stockholm Pass, you have free entry to over 60 attractions including many of the museums in Stockholm such as the Vasa museum, Skansen Open-Air museum (the oldest open-air museum in the world) and The Royal Palace and you will also have access to bus and boat tours to help you get around the Stockholm archipelago. We would have loved to take a boat tour but the water was frozen. A slight hindrance and something to consider when booking a trip over winter; the weather may affect travel time and limit some of the options available. The Stockholm 24 hour travel cards worked out at approx £10 each per day, which was perfect for us, especially on the day we chose to travel and view the Stockholm metro art. Stockholm offers free walking tours, which is something completely new to us (coming from a city where nothing is free!) and although I have read that they happen in several European cities, this was our first experience of them. This is such a fantastic opportunity, especially when travelling on a budget. We joined a tour of Stockholm old town and can positively say that it was engaging, informative, funny and there was a large group of others so have no fear about awkward interactions. Stockholm is made up of 14 different islands and our favourite was Södermalm (Söder being Swedish for South). 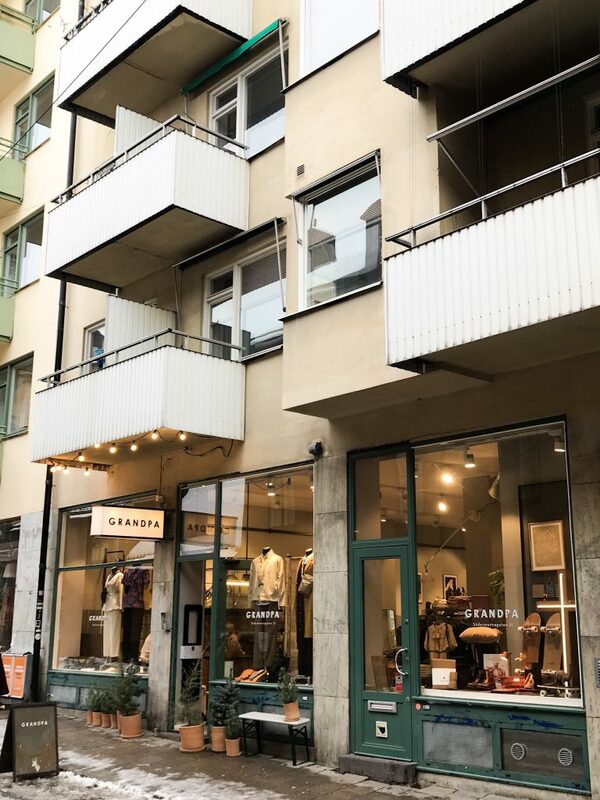 While many online guides hinted that Gamla Stan (Old Town Stockholm) was the place to be – and there is no questioning it’s popularity with tourists – it was Södermalm that really stood out to us. Considered a hipster area, Söder has a range of cool shops (Granit and Grandpa being two of our most-liked), cafes, restaurants and bars. The Bio Rio in Hornstulls strand 3, is right up my street in terms of decor. A dreamy single-screen 1940s movie theatre which retains many of the original features. Of course, a trip to the cinema isn’t usually on the to-do list when taking a weekend city break so there is also the option of the restaurant, Bistro Rio. At Bio Rio, you can snuggle down on one of the sofas, a beanbag or sit at one of the lounge tables in the back with some food while you watch the latest indie film. The thing that appeals to me most about Bio Rio is their Sunday morning breakfast screening where you get a tray of muesli, yoghurt, fruit and refill coffee while you watch the film. If visiting in the evening, they also have Swedens first cinema bar. To my knowledge, Bio Rio does fill up in advance so make sure to book ahead if you are interested. This won’t be to everyone’s taste but is an alternative to visiting the local art gallery. As mentioned in our trip to Oslo, street art is something that we really admire and appreciate and I’m sure many of you will feel the same. Rågsved, was referred to as an industrial area of Stockholm, but the landowners changed this in 2014 when they gave permission to create a legal, and now one of Europes largest graffiti exhibitions, the Snösätra Wall Of Fame. Each spring, street artists from around the world create something different, mixing different graffiti styles and themes to create a new exhibition. Along with this, there is an annual festival and parties throughout the summer with music, live painting and showcasing of the new murals. It may have been cold, but watching the changing of the guard in Stockholm is something that I am glad we took the time to see. You can watch the changing of the guard daily at 12.15pm and 1.15pm on Sundays and it lasts 40 minutes. Make your way to the outer courtyard of The Royal Palace, one of the largest palaces in Europe to watch this ceremony. Note that this is free and is one of Stockholms most popular tourist attractions so get there early to find a good spot. Just 15 minutes from Slussen is Hellasgården, a beautiful nature reserve just outside of Stockholm city. Hellasgården is a great place for those who lead an active lifestyle. In winter you can sledge, ski, hike and go ice skating among many other activities. There are also the male and female saunas (where it is compulsory to strip off) which also lead to the bathing jetty. The water often freezes over in winter but for the more adventurous among you, they do drill a hole into the ice where you can then take the leap of faith into the water. Boule bars in Stockholm; definitely not something I expected to find, or something I thought I would be recommending, so this one comes as a surprise to us both, but the Ugglan Boule & Bar in Södermalm (the area is also known as SoFo) is a pretty cool hangout, so worth a mention. Ugglan, also referred to as it’s English translation ‘The Owl’ classes itself as a recreation centre for adults. First and foremost, this is a bar which means that this suggestion is for adults only. The Ugglan Boule & Bar offers a plethora of games and activities from boules (obviously) to pinball machines, arcade games, shuffleboard, air hockey, ping pong, foosball and plenty of board games to keep you entertained. Come here to kick back, relax, have a few drinks, maybe some food and enjoy yourself. Unfortunately, we didn’t see any northern lights when visiting Stockholm and although the winter months offer the best opportunity to witness these, a city break may not be one of the best places to experience this. 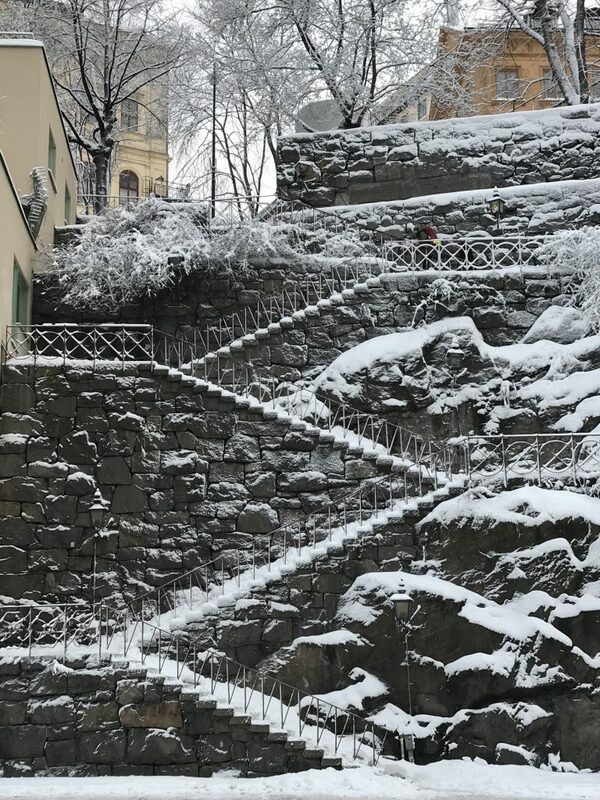 So, these are just some of the attractions that drew our attention and I hope that these few travel tips, whether old or new, will help you find some fun things to do in Stockholm in winter!